Old habits die hard, especially when those habits were ingrained in your brain during your time as a soldier. 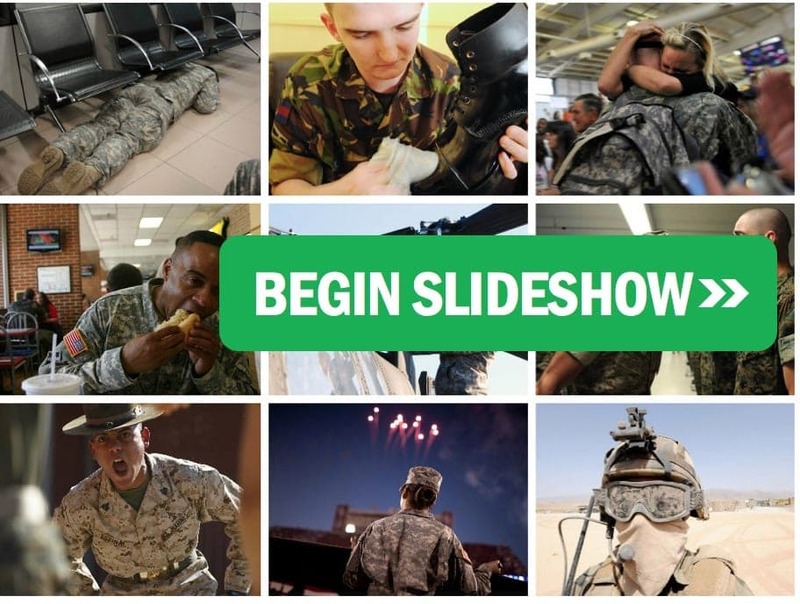 Army life has an intense influence on your lifestyle, both on base and off it, and once you get married and have a family of your own, you surprise yourself with how many of these military habits make their way into your family unit. It’s too easy to iron and prepare your wardrobe a specific way. It’s also way too easy to cry whenever the flag is raised to the Star Spangled Banner. You can’t help but to follow formation when given the opportunity and of course, you’ve maintained the ability to endure unpleasant situations that most people would find incredibly difficult. Army life showed you a different way of living that included an increase of discipline, respect for your country (as well as others), and a few maneuvers that most people would do a double-take for. Knife-hands never get old and neither does beeping your horn twice before you reverse the car. And let’s be honest, any soldier who is currently or was in service makes the best darn housekeeper you’ve ever seen. You’re no stranger to eating a quick meal, making your bed in the morning (in that special way only you know! ), and military time will always be the accurate time. It doesn’t matter which armed forces you served in – American, Russian, Israeli, Chinese – you definitely conformed your lifestyle to the ways of your lieutenants and generals. Feeling like you’re on the outside of civilian society is no big deal and almost always, those same civilians take notice to the clear-cut signs of your military experience.